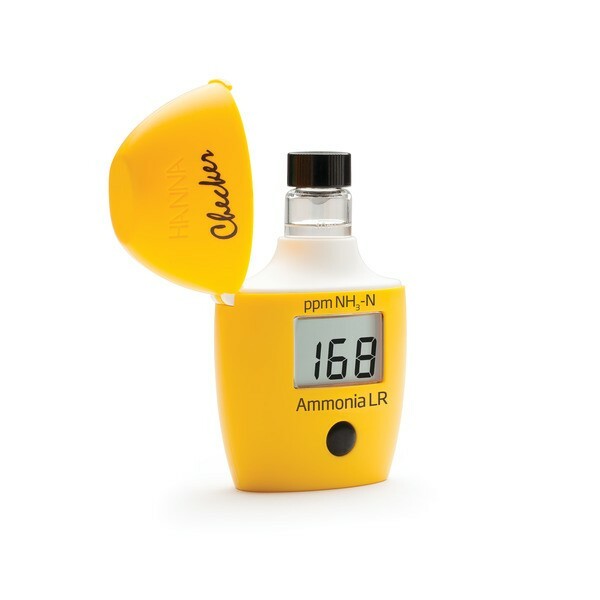 Product information "HI700 Ammonia LR Colorimeter – Checker® HC"
Note: This checker is for use with freshwater only. Our portable handheld colorimeter is easily carried in your pocket. One-button operation makes getting your ammonia results simple. Advance your technology and upgrade from your standard test kit. Related links to "HI700 Ammonia LR Colorimeter – Checker® HC"
Customer evaluation for "HI700 Ammonia LR Colorimeter – Checker® HC"